The Turkish Football Federation’s (TFF) three top managers have resigned in a move that appears to have deepened the rift between Prime Minister Recep Tayyip Erdogan and Turkey’s powerful Islamic Gulen movement as well as the massive match-fixing crisis in Turkish soccer. TFF chairman Mehmet Ali Ayindar and his vice chairmen Goksel Gumusdag and Lutfi Arıbogan gave no reason for their resignation days after the federation’s general assembly defeated a proposed rule change that would have prevented soccer teams found guilty of match-fixing from being relegated. Mr. Gumusdag, an in-law of Mr. Erdogan and head of a club with two players implicated in the scandal, was among scores of soccer officials detained last year in the match-fixing scandal, but he was released after several hours of questioning. The rejection of the rule change constituted a defeat for Mr. Erdogan, who last month drove against President Abdullah Gul’s will a controversial bill through parliament that reduced penalties for match-fixing from a maximum 12 to three years and prepared the ground for the rejected TFF rule change. 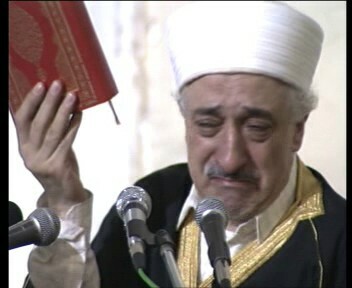 Mr. Gul is believed to be close to Fethullah Gulen, a self-exiled, Pennsylvania-based cleric, whose movement, Turkey’s foremost Islamic alliance, operates schools, businesses, media, including major Turkish media, and NGOs across the globe, and is widely seen as having significant sway over Turkey’s police force. The Gulen movement has been instrumental in the rise of Turkey’s appeal across the Middle East, North Africa and in sub-Saharan Africa with its network often paving the way for Turkish diplomacy and business. Mr. Erdogan increasingly, however, has come to see Mr. Gulen not only as an asset but also a liability. The cleric’s inroads into the judiciary and the police has meant that critics of his movement have more often than not found themselves behind bars on charges of involvement in the murky and controversial Ergenekon affair, involving Turkey’s Kemalist, ultra-nationalist deep state. The affair has led to massive military arrests and made Turkey one of the world’s foremost jailers of journalists. The arrests have sparked international criticism and portrayed Mr. Erdogan as increasingly arrogant and authoritarian. Mr. Gulen left Turkey in 1998 ostensibly for health reasons but more likely to avoid standing trial for a recording in which he allegedly advocated an Islamic regime. “Our friends who have positions in legislative and administrative bodies should learn its details and be vigilant all the time so that they can transform it and be more fruitful on behalf of Islam ... However, they should wait until the conditions become more favourable ... they should not come out too early,” Mr. Gulen was reported to have said. Mr. Gulen asserts that the quote was taken out of context. He was acquitted in 2006 after having been tried in absentia on charges of trying to overthrow the secular state. Mr. Gulen has opted to remain in rural Pennsylvania although he is free to return to Turkey. Mr. Gul and his supporters view the investigation of the match-fixing scandal as part of a greater clean-up in Turkey. They argue that the match-fixing scandal involves huge sums of money and is closely linked to organized crime. A majority of TFF members rejected the proposed rule change that would have replaced relegation with a minimum penalty of a 12-point deduction on the grounds that such a move could only be made once legal proceedings in Turkey’s worst match-fixing scandal had been completed. Jailed Fenerbahce president Aziz Yildirim and his storied club, who have been targeted by Gulen media, were among those opposed to the rule change despite the fact that the club is threatened with relegation under the current TFF rules. “Fenerbahçe voted against this for reasons of pride. The club thinks it's innocent and that it will prevail in the court case…. It has no problem being demoted a division and said so from the day that (European soccer body) UEFA announced they won't be in the Champions League. ‘You've already found us guilty with this decision, then why are you waiting to demote us?’ they said,” according to an email from Turkish blogger TurkeyEmergency, a Turkish journalist who wishes to remain anonymous because of the arrest of journalists critical of Mr. Gulen. Messrs Erdogan and Gulen’s soccer proxy battle erupted as Mr. Yildirim and 92 other soccer club officials, coaches and players are scheduled to go on trial on February 14 on match-fixing related charges that involve eight teams, including Europa League members Besiktas and Trabzonspor. The scandal is believed to have affected 19 matches, including last season’s Fenerbahce 4-3 victory over Sivasspor which saw the club clinch the league championship on the final day. The Champions League has since barred Fenerbahce from participating in its competition because of the match-fixing scandal. The TFF said that executive board member Hüsnü Güreli would be acting chairman until the federation elects a new head on February 27. TurkeyEmergency quoted Mr. Yildirim as saying in a letter that he had no issue with Mr. Erdogan and that “no one can get in between Erdogan and myself,” an apparent reference to Mr. Gulen. Turkey’s Fanatik quoted Mr. Yildirim on Wednesday as saying in an interview three times that “Fenerbahçe is Atatürk's team and it will stay that way.” Mr. Yildirim was seemingly accusing Mr. Gulen, widely seen as an opponent of Mustafa Kemal Ataturk, the visionary who carved modern Turkey out of the ruins of the Ottoman empire, of wanting to remove him to gain control of Fenerbahce. The soccer battle between Messrs Erdogan and Gulen is the latest of a string of incidents souring the once close relationship between the two men. Mr. Gulen has taken Mr. Erdogan to task for his tough stance towards Israel in the wake of the 2010 Mavi Maramara affair. Mr. Erdogan effectively froze relations with Israel after Israeli forces stormed the Mavi Marmara, a Turkish aid ship that was attempting to run the Israeli blockade of the Gaza Strip, killing nine Turkish nationals. The cleric has also criticized the prime minister for being too soft on Turkey’s staunchly secular armed forces despite the fact that Mr. Erdogan succeeded in bringing the military under civilian control and that hundreds of officers, including scores of serving generals, have on his watch been jailed for alleged coup-plotting. Mr. Gulen is believed to want Mr. Gul to succeed Mr. Erdogan in 2015 when Mr. Erdogan’s term as prime minister is up and he is expected to seek the presidency. James M. Dorsey is a senior fellow at the S. Rajaratnam School of International Studies at Nanyang Technological University in Singapore and the author of the blog, The Turbulent World of Middle East Soccer. Which way will China jump on Syria?